We believe that to have an impact, research has to live on beyond a nice looking Powerpoint deck - and to do that means being set-up a little differently to other research agencies. At Tapestry we have three key disciplines: Researchers, Modellers and Narrators. This combination of expertise allows us to design studies that utilise the latest techniques and thinking, model the data to extract the most value out of it, and combine all of this into a deliverable that is compelling. Everyone’s on their way somewhere. They might be journeying towards a new car, a new washing powder or a new life. Our journey work helps you understand what they do, when they do it and how to connect to them at each point in their path. Ultimately, it will allow you to influence exactly where they go at the journey’s end. We’ve explored the consumer journey in a huge range of categories, from the considered big purchase (e.g. cars, computers) to smaller, habitual buys (e.g. personal care, grocery shopping) and even bigger life goals (e.g. financial planning, weight loss and fitness goals). Understanding the journey is only the first part of what we do. Once we know the journey we help you activate the insight with media, brand or behavioural modelling and “what if…?” scenario planning. Segmentations are part science, part art. Essential to any segmentation is a strong mathematical foundation. If the segments aren’t strongly differentiated then cracks will appear once you start using it. The art bit comes from knowing which variables to use in the survey, and how to use and fine tune them. In many ways creating the segments is the easy part often the real challenge comes in bringing them to life and implementing them for your CRM and media planning. That’s where experience counts. We’ve worked on numerous segmentations all over the world across a wide range of categories including travel, automotive, financial services, fashion and TV viewing. To develop your brand or product, and to then talk about it in the most compelling way, you first need to understand what consumers want. Our work with brands starts with the consumer point of view. With smart questionnaire design and even smarter modelling, we build the structure of the market, identify the white spaces and then simulate what happens when you introduce a new product or talk about your brand in a new way. Underpinning this is sophisticated mathematics – Bayesian Inference – allowing us to identify where you can make changes and what happens when you do. That’s where our analysis and interpretation comes in, ensuring you make better decisions to grow your brands. Traditionally tracking studies have given you a good picture of what happened a couple of months ago and maybe some insight into why it happened. We think tracking should do more than describe the recent past. By adding more specific media consumption questions and using respondent-level modelling techniques, we identify exactly how your campaigns are performing and which channels are contributing the most to the performance. With the right brand drivers included, we can show which attributes are most affected by marketing and how they relate to sales. This needs sophisticated modelling to combine a variety of sources but, as a result, we can carry out truly actionable tracking for you or quickly improve the tracking you already have. We all know it’s getting more difficult to make sense of the media landscape. The birth of a new media is often seized upon to predict the decline of another, whereas in reality all media are evolving to adjust to the new reality. Making sense of the new landscape means working with an agency that takes a wider view of it. Through our work in areas such as the consumer decision journey and campaign evaluation, we have a strong understanding of the way different media is consumed and its potential in a campaign. We have expertise in ad sales research, helping media owners to create interesting stories to bring their audiences and properties to life in a compelling and convincing story (it helps that several of the senior team are ex-media agency so we know what will cut it with agencies). One of the most interesting areas that we work in is evaluating the impact of new ad formats, and identifying guidelines for best practice. Some of the (fairly) recent studies we’ve designed include native advertising and ad personalisation. To avoid conditioning consumers often we have to employ clever (and fairly complex) designs so that we’re testing the ad in as natural an environment as possible; when you’re testing ads that are personalised to each respondent (as we did with PHD) this can be particularly challenging. WE’RE ADEPT AT MANAGING AND USING DATA IN ANY FORMAT - SURVEY DATA, SALES DATA, CLICKSTREAM, SOCIAL MEDIA DATA - ANYTHING IN FACT WITH A NUMBER IN IT. We began as a joint venture with a company of mathematicians and econometricians, and now have an in-house team of media modellers and stats geeks. Advanced analysis has always fuelled what we do. We really like numbers but, on their own, numbers don’t tell a story. You’ve got to know what to do with them to make them useful – and you’ve got to do a bit more than the usual stuff to make them work as hard as they should. From drivers to segmentations, campaign evaluations to the consumer journey, we look for ways to apply maths in different and more immediately useful ways. Often this means layering different analysis across segmentations, or building a simulator to allow us to carry out “what if…?” analysis. We then communicate the key insights in custom-made infographics and deliverables which bring the findings to life. We love a segmentation but it’s often frustrating when you try to apply it to real business issues. We think about it differently. We look for the archetypal consumer for your product, the exact person you want to innovate and design for. This is likely to represent a very small number of people in the real world, so we use more traditional cluster analysis to identify the consumers to message against. Finally, we’ll look for the broader base of consumers that are additionally or demographically aligned with the product, giving you your media buying target. In the end it’s the report, infographic or poster that will live on in your business. We believe these should be both immediately compelling and have a long life, representing something you can use long after the study that produced it has finished. We work with a number of designers and editors who have been with us since we began, constantly challenging us to make our output better wherever possible. The process starts well before the report, however. To get to a truly brilliant end point you’ve got to be thinking of the story from the very beginning. Every part of our process is checked against the ultimate aims of the study, and the full team – plus others in the company with something useful to add – have regular workshop sessions to plan out the narrative before anything is committed to charts or video. The result is something you’ll be proud to take to a wider audience – often, as you’ll see from some of the examples below, the widest audience possible. SOME OF OUR RECENT STORIES, AWARD WINS and just really nice stuff. WINNER Excellence in Research Presentation, Mediatel Media Research Awards 2018. Where’s the best city to live right now? 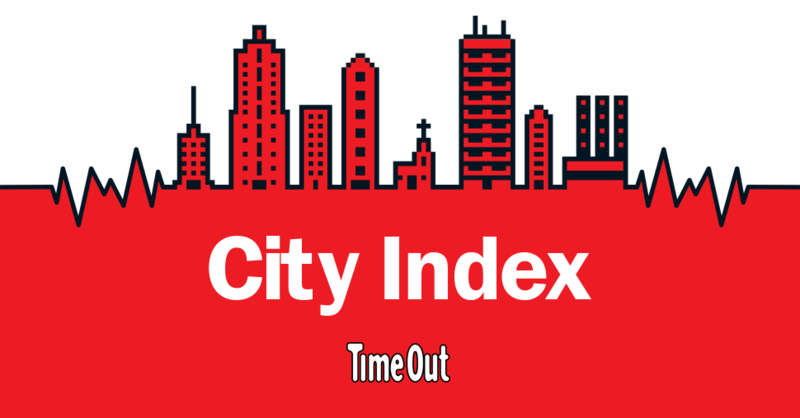 The study cemented Time Out’s status as the city-living experts. It resulted in an unprecedented 15 page special in the 22 Nov 2016 London issue, countless PR spin-offs and extensive online coverage. Its buzz: An inspiring plethora of things to do. Even if life can be stressful (dating in New York, crime in Mexico City), a city’s dynamism outweighs these worries. Its food and drink: Great restaurants, great bars. Its diversity: Not just its people, but a variety of neighbourhoods to explore. Its work/life balance: People in the highest-rated cities work three hours per week less than those in the lowest-rated. But staying up (and drinking) all night can make people jaded; party-mad Sydney and Miami don’t make the top ten. Its friendliness: Plenty of smiles and a willingness to chat. So which city topped the list? Chicago ticks all of the above boxes. People living there have their work/life balance nailed: they enjoy a night on the town 6+ times a month, take strolls around different areas of the city, make frequent trips to the gym and are partial to a chin-wag with a stranger. After so much activity, they get more sleep than any other city, so they can do it all again the next day. Grand Prix winner at the Media Research Awards 2017. A UK study about how TV can bond us together better than anything else, and how it benefits advertisers. The 7 rules of engagement for ad personalisation. Identifying the nation’s news habits. A 14 country study looking at how viewers are redefining their relationship with television. Ian has 20 years in market research under his belt, and he’s spent more than half that time in Board-level positions in global MR agencies. He has an eye for a story and likes stripping down complex data into key nuggets. Kevin has worked across the research industry for 15 years. He’s headed up social, digital and media development at Ipsos in New York; led multidisciplinary teams of brand consultants, industrial designers and researchers in the OTX Strategic Solutions group in Austin, Texas and tested new movies in glamourous locations, and Slough.